Our extensive range of synthetic grass pieces are very effective and versatile. We can custom make to the size you require, in a range of grass lengths and thicknesses. 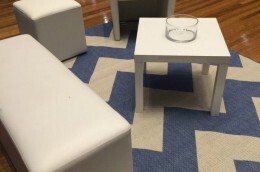 Silky smooth and comfortable to sit on, this rug is soft, flexible & woven from recycled PVC.